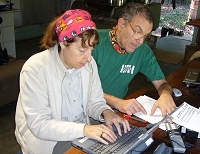 There are many ways of getting involved with Biosphere Expeditions. Joining an expedition is just one, joining our Look Ahead programme is another. Together, we are building an amazing network of people - have a look at how many others have helped. We hope it will inspire you to become involved too. Help us to help wildlife and people across the world by spreading the word. Word of mouth is by far the best way to get people excited. Talk to your family, friends, and colleagues about your experience and encourage them to join in too. Share your experience, comments, pictures, videos on your social media and ours (see which sites we're on). This really does help to spread the word about us and our conservation work. Videos and pictures work really well in getting people's attention. If you are putting your expedition pictures or videos on a sharing site such as Instagram or YouTube, then please also make sure you link through to us or tag your pictures to Biosphere Expeditions as this will also help to spread the word. We would like to build up a library of expedition team members personal video diaries. A couple of examples are below and we would like to have your entry too. There are no limits to your creativity other than we ask that your final cut is no longer than 6 minutes. Our work on the ground of course continues after you have left. And this work can always do with more support, so you can make a tax-efficient* and project-specific donation via our crowd-funding website or straight into the accounts of our US 501(c)(3) charity, our German e.V. charity, or our UK or Australian non-profits. For direct donations into our acccounts around the world, please get in touch. *Depending on your country of residence, your membership fee or donation may be tax-deductible (for example membership fees or donations to our US 501(c)(3) charity, or our German e.V. charity, where we can issue tax-deductible receipts or German "Spendenbescheinigungen"). We also have a page on employer match-giving and personal taxation, which you may want to check. Working for nature and conservation costs money. Please help us protect the planet for future generations. By making a bequest to Biosphere Expeditions in your will, you can play a vital part in supporting our conservation work and help us continue our commitment to conserve the world's natural spaces beyond your lifetime. We understand that making your will is a very personal matter, so if you wish to proceed, please contact one of our offices worldwide or send us an e-mail, knowing that all bequest information and discussions passed on to Biosphere Expeditions is held in the utmost confidence. The Friends of Biosphere Expeditions are people who feel passionate about providing continuous support to our wildlife conservation and research projects across the globe. By joining the Friends you can play a vital part in making a real difference to the survival of our planet’s endangered species. Local newspapers and radio stations are always looking for new stories, and they are very likely to want to hear about your experiences. Biosphere Expeditions has an extensive storage of high resolution photos and broadcast quality HD films, so please contact us if you need pictures or film clips to illustrate your story or if you would like help with your press release or media work. My name is Jane Orton and I am a freelance travel writer, conservation enthusiast and occasional intrepid explorer! I have supported Biosphere Expeditions’ efforts by writing articles on the Altai and Peru expeditions for an online magazine. This was a great way to generate publicity for Biosphere Expeditions and it also helped me – I am now trying to establish myself as a freelance travel writer and having these publications to put on my CV has been a real plus. My name is Rasha Skybey, and I’m from Australia. Following the Oman expedition, I drafted a little story on my experience which was published on the Biosphere Expeditions website, magazine and e-newsletter. While on this expedition I filmed our memorable moments on my video camera which also ended up on the website and You Tube. After the 2009 Namibia expedition I was interviewed for an article regarding overseas volunteering by a national woman’s magazine. I was also able to share my experiences through a live radio and television interview for a local community radio and television station. Host an event for us in your neck of the woods. Examples include holding a drinks reception in a local pub, a dinner party at your home, a talk at your local wildlife or conservation society, a get-together at your professional organisation or club, or anything else you can think of. We can send you support materials such as postcards and brochures that you can hand out at your event. In addition, a staff member of Biosphere Expeditions might be able to come and give a talk. Please contact us for further details and help with organising an event. My name is David Warnock. I was inspired by the Biosphere Expeditions snow leopard project in the Altai, and decided to give a talk in my local church hall in Callander, Scotland. Not only did I have the chance to share my expedition photos and re-live the experience, but I also managed to educate people about conservation, raise money for the Snow Leopard Trust and deliver key messages about the need to take climate change and other environmental issues seriously. 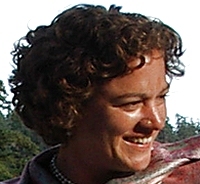 I'm Katie Bunting, a veteran of four expeditions and also a Friend of Biosphere Expeditions. I have helped with media activities and most recently organised an event in London for people interested in joining an expedition or for those already signed up who wanted to get some further information of what to expect. I organised it with a fellow expedition team member Steffan Stringer and we spoke about our experiences on different projects with Biosphere Expeditions. We always need people with skills who can help us out. Examples are skills in the outdoors, accounting, graphic design, IT. Or people who can help by writing blogs, tweets or talking to the media. If you have any of those skills or if you would like to help online, then please send us an e-mail telling us what your skills are. You can also look at our list of home projects that you may be able to help with. 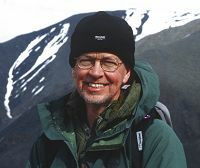 My name is Alan Hoffberg and I first joined Biosphere Expeditions in 2003 on an expedition to the Peru Amazon. Now residing in Florida and a retired multi-skilled businessperson by trade, I have helped Biosphere Expeditions ever since in North America by contributing my time and skills in multiple ways. For example, I obtained the United States government 501(c)(3) non-profit/charitable status for the organisation and, wearing my trained accountant hat, maintain the accounting records and financial reporting for the North America operations. I have also done several interviews with the North American press when they wanted to talk to a former expedition team member. My name is Jan Biekehoer from Germany and my day job is with German VOX TV producing wildlife-related shows as an executive producer in the natural history unit. I came across Biosphere Expeditions as part of my job and then went on filming their expeditions in Namibia and Oman. I was so impressed with Biosphere’s approach and philosophy that I volunteered my skills in movie production and PR and I am now happily helping them out in just that. It’s a great way for me to stay connected with wildlife-related issues in the field and put my skills to good use for a good cause. I am Gemma Hunneyball, biologist and full-time mother, helping out from home in Australia with reviewing expedition reports in my spare time. You may have laptops, GPSs, video cameras, binoculars or other items to give away, which we or our partners can. If so, please let us know and we will either use them ourselves on our wildlife conservation projects or pass them on to our local partners. I’m Anne Schroedter from Germany and I joined the Azores whale and dolphin project in 2010. Straight after, I joined the Friends of Biosphere Expeditions and when I recently had two laptops to give away I thought of Biosphere Expeditions. One of them is now going to the turtle project in Western Australia, which is somewhat strange since that very laptop had been to Western Australia with me before! For the second one Biosphere Expeditions is currently conducting another assessment of need and will then send it to another project in need. You can also support Biosphere Expeditions through the affiliates network of airlines, travel insurers, equipment & clothing suppliers, etc. Whatever the affiliate and our arrangement with them, commissions and perks gained from you using their services will always be ploughed back into our research and conservation work and to benefit our local partners wherever possible.